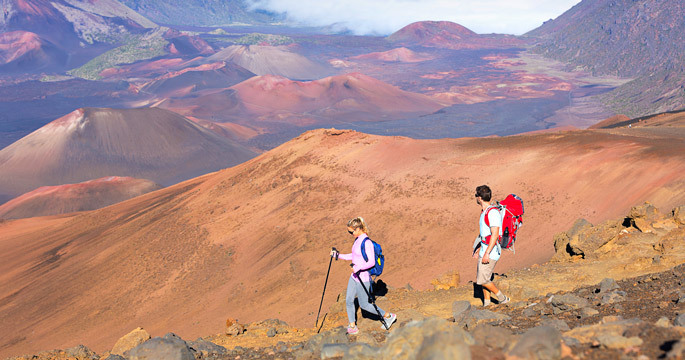 TOUR DESCRIPTION: Certified staff will guide you over one of the longest ziplines on Hawaii Island at more than 2,400 feet in length, and also the only all side-by-side dual-track zipline on Hawaii! Enjoy a picnic deli style lunch before you head to your next adventure and board your comfortable, air conditioned helicopter. As you head out towards the active Kilauea volcano, lush tropical rainforest gives way to stark lava flows as you approach the volcano. 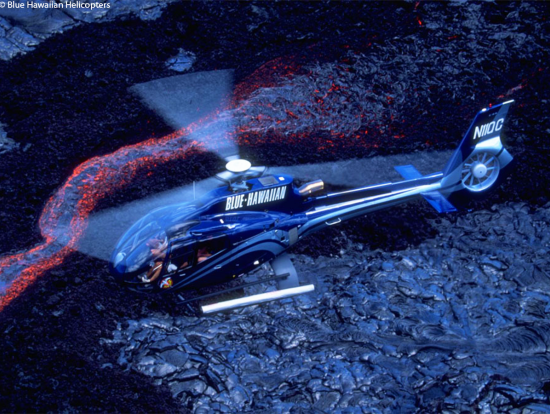 Look for surface lava flows as your pilot safely navigates his way through columns of steam and smoke rising from the volcanic landscape. Circle back and head north past Hilo. This is waterfall country!! You will see some of the great ones from the air including Rainbow Falls. Zipline Restrictions: Zipline tours are not for pregnant women or anybody with current or pre-existing heart, neck, or back conditions or injuries. Guests are required to sign a liability waiver on arrival. Guests must be able to negotiate stairs, and lift 15 pounds. Guests must weigh between 35 and 275 pounds, and at least 5 years of age. Refunds cannot be given to guests that are under or over the weight limits. All children under the age of 18 must be accompanied by an adult. Changes and cancellations must be made at least 24 hours in advance of tour time for a full refund. Our facilities, except for the zip line, are ADA compliant, and we make every effort to accommodate all of our guests. Helicopter Restrictions: Guests weighing more than 250 lbs must pay an additional fee for helicopter portion (please call your Concierge at 808-250-9536 for more details.) Zipline tours are not for pregnant women or anybody with current or pre-existing heart, neck, or back conditions or injuries. For Zipline: Guests must weigh between 35 and 275 pounds, and at least 5 years of ageRefunds cannot be given to guests that are under or over the weight limits.